Home Arts	Where are you getting what you are eating? All of Us Guinea Pigs Now? screens Monday October 7 at 7 p.m. in room H-110, 1455 de Maisonneuve W. The event is co-presented in collaboration with the Festival du Nouveau Cinema. For more information, visit www.cinemapolitica.org/concordia. Press photo. What are the back-door politics behind the food that we consume every day? Where and how are they really produced and what kind of chemicals are used? What are its harmful effects? These are a few of the issues tackled by the film All of Us Guinea Pigs Now? by French director, Jean-Paul Jaud. 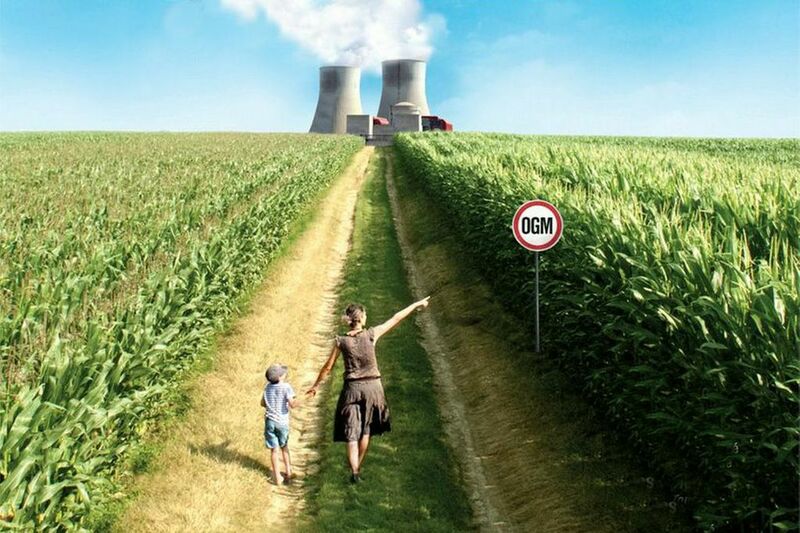 According to the documentary, most of the world’s governments have authorized the use of genetically modified organisms (GMOs) after having studied their effects on animals. The film also asserts that these studies usually last for only three months, often too short of a time span to determine the various chronic effects associated with the use of GMOs. However, a secret research study was recently undertaken in France, testing the adverse health effects of a certain type of genetically modified seed and the results were frightening. The rats used in the study were prone to developing cancerous tumors and eventually succumbed to premature death. The film travels from France to Senegal and Japan, showcasing various groups of outspoken farmers and protesters. In Japan, for example, the major environmental issue is the use of nuclear power, a contentious subject since the 2011 nuclear disaster in Fukushima. In Senegal, we find a group of organic farmers very much against the use of GMOs, a belief which they pass on to the younger generation of food producers. In the case of Japan, the documentary arbitrarily asks: how can a nation that suffered from the bombings of Hiroshima and Nagasaki during WWII (and the subsequent decades of harmful radioactive effects) allow the explosion of the nuclear plant at Fukushima to occur? Outside of a few scenes in Senegal and Japan, the film fails to truly remain engaging, especially during the long stretches filmed in France. The director presents ideas that are at best subversive and at worst based on unfounded conspiracies. For example, according to the film, the International Monetary Fund, the World Trade Organization, and the World Bank are “mercenary organizations working for the U.S. and are the oligarchies and financial muscles of the food-processing industry.” We, as an audience, are expected to simply swallow this as unquestionable truth. This film feels as if activists have made it solely for other activists, instead of the average filmgoer. All of Us Guinea Pigs Now? fails to create an immediate sense of connection and compassion, asking questions that have little to do with the topic at hand. While the issue of what goes into our food supply is an important one, it seems that the makers of this film are so obviously vexed, so righteously indignant towards the ‘big bad enemy,’ that they fail to present their argument fully. All of Us Guinea Pigs Now? screens Monday October 7 at 7 p.m. in room H-110, 1455 de Maisonneuve W. The event is co-presented in collaboration with the Festival du Nouveau Cinema. For more information, visit www.cinemapolitica.org/concordia.